A Variable Universal Life Insurance Exploration Is About to Get Underway; A Potentially Important Strategy for Boosting Retirement Security? Twenty years ago I was consumed with developing marketing programs that had as their basis the generation of retirement income derived from universal life insurance. My interest in creating ‘private pensions” was ignited following the passage of the Tax Reform Act of 1986, a piece of legislation which, among other things, removed the tax-deductibility on IRAs for many taxpayers. The premise behind the marketing of this concept was that it was better to forego an income tax deduction on a small amount of money (the contribution) in return for income tax-free access to a much larger amount of money in the future. Even for individuals who were still eligible to deduct IRA contributions it seemed that an alternative to the IRA made sense. Twenty years ago most people envisioned a future that included higher marginal income tax rates. Therefore a 33% income tax deduction on a $2,000 IRA contribution- a savings of $667- paled in comparison to income tax-free receipt of, say, a $30,000 annual income stream thirty years hence. Income tax-free, you say? Yes. When the cash flow is provided in the form of a loan against the life insurance policy’s cash value, receipt is non-taxable. This is because the loan proceeds are considered an “advance” against the policy’s future (income tax-free) death benefit. Moreover, the death benefit provides a self-completion benefit in the event of the insured’s untimely death. As you might expect, this attractive mix of benefits led some companies and agents to abuse the concept. Nonetheless, the inherent economic attraction remained. In 1998 the fundamental economic structure of this type of income tax/retirement savings strategy received unanticipated support and validation when the Roth IRA debuted. Roth-like tax treatment has become quite popular and the concept has been expanded including in the 401(k) marketplace. And why not? It doesn’t cost the Government any revenue today while providing an important incentive to save. Looking anew at the concept of life insurance-funded strategies for generating supplemental retirement income, I see a potentially significant opportunity for people to strengthen their retirement security while enjoying tax advantages. It may be wonderful opportunity for life insurers, as well. Well-designed strategies funded by variable or indexed universal life insurance plans may offer major growth opportunities. While all of this may sound interesting, the marketing of such a strategy is fraught with complications. In addition, consumer-oriented insurance policy designs are called for. In the near future I’ll have more on this topic as I try to more fully develop its potential in light of the retirement security needs of today’s consumers. Fascinating essay!!! I enjoyed reading it. At the end of the day, I think insurance companies, as well as mutual fund companies, perhaps all companies) become most admired because: THEY DO WHAT’S RIGHT FOR THE CONSUMER. Companies like Vanguard, for example, were never swayed by what was trendy, what was new or what produced the highest gross margin and largest bottom line impact. John Bogle had a vision and a passion for doing what he felt was right for the client. The American Funds is another great example of that principle. If I may be so self-serving for a moment, it is one of the major reasons Northwestern Mutual has been selected as the Most Admired Insurance Company every year the survey was ever done. Consequently, I think your focus on Confidence, Pride and Transparency are absolutely right on. Executives at Most Admired companies conduct all business as though every conversation, every e-mail, every meeting and every Board Discussion was going to appear tomorrow on the front page of The New York Times or typed up and distributed to all of their customers…….so I think your NYT Test is absolutely accuarate. Moreover, Most Admired companies are driven to produce superior customer service, not because of what their legal contracts say, but because of their desire to do what’s right for the client. Most Admired Distribution companies will, in my humble opinion, begin to move primarily to an advisory model because it will be impossible to deliver the type of holistic, comprehensive retirement planning advice that is contemplated by Moshe Milevsky and others without being an advisor. Moreover, the discipline of delivering a fiduciary standard of care will preclude pushing products that are too expensive and fail to meet consumer expectations. It will also require far more intensive and comprehensive training programs and technology platforms to make sure advisors are truly delivering on the promise of objectivity, expertise and integrity. Most Admired Manufacturing companies will only develop products their actuaries and attorneys would buy, not those that can be foisted on a poorly educated public who lack the training or skills to perceive the inherent flaws in products like index annuities and/or annuities that fail to keep pace with inflation. Obvisouly, I really enjoyed reading your article and it stimulated a lot of thought. During the first-half of May, Francois Gadenne assumed control of this blog and created a series of essays that constitute must reading for anyone interested in Baby Boomer retirement and all implications for financial services. The essays combine to create a potent examination of issues that are important to many of my readers. Therefore, I’ve decided to create a book of Francois’ essays. I’m sure that you will enjoy it. Enjoy the Memorial Day holiday! A recent conversation with a life insurance company executive led me to write this essay. During our discussion the executive mentioned that one of his CEO’s goals is to see that this particular insurance company become one that is widely “admired.” Thirty years ago upstart names like Fidelity and Vanguard thought about what it would take to become admired organizations. They acted aggressively and attracted trillions of dollars in assets, much of that at the expense of insurers. Now, life Insurance CEOs find themselves at a momentous juncture, a moment when they must define their companies’ future success and prestige. Their decision-making can lead them to immense growth and admiration, or marginalization and lost shareholder value. What decisions will today’s life company CEOs wish to be remembered for? WHAT WILL IT TAKE for a life insurer to achieve admired status? The first question that comes to mind is which audience should come to admire the life insurance company? Consumers? Distributors? The press? Regulators, rating agencies? All of the above? And for exactly what quality or qualities should the insurer be admired? Although I know the CEO in question I haven’t yet had the opportunity to explore his thoughts and goals. In advance of that I’d like to outline the dynamics for transformation that, in my judgment, will allow a life insurance company to be admired not just by customers and distributors, but also by the press and regulators. My thinking on this subject is not without context. If you are a regular reader of this blog you will be familiar with numerous essays I’ve published about challenges facing life insurers. These articles have appeared at this site as well as in numerous journals including InvestmentNews, Financial Planning, National Underwriter and Research Magazine, to name a few. This elaborate and ongoing exploration has been sparked by my fear that insurers may misfire on what should be their greatest opportunity for new business– Boomer retirement. I’ve not hesitated to identify and criticize some of the anti-consumer sales practices and sub-par product creation that has, in part, led to today’s negative public image of annuities, in particular. I’ve always attempted to be constructive in my criticism, however. What will it take for a life insurer to become admired? For a life insurer to transcend the present climate of negative perception and to elevate itself to admired status, a top down, CEO-driven priority to instill confidence among consumers must take root. “Confidence” is the number one deliverable for life insurers in the years ahead. They will either deliver it successfully or see their market share and public image erode even further. The next key deliverable is pride. A CEO who is able to have pride in his or her entire product line, pride in all aspects of the sales process, and, critically, pride in the face of press scrutiny will be well on the way to achieving admired company status for his or her company. Pride that becomes infectious and filters through the entire organization will both galvanize all to the mission of best serving consumers’ interests and lead to high-quality growth. We are well aware of instances in financial services where certain business practices become the subject of articles and exposes leading to embarrassment, damaged reputations, litigation, and the destruction of shareholder value. In some cases, even the CEO’s forced resignation. When such incidents occur consumers’ confidence is damaged- sometimes permanently. The CEO of tomorrow’s admired life insurer will be able to feel the sense of pride even if any or all of the insurer’s business practices were to become the subject of a front page article in The New York Times. The notion of passing “The New York Times Test” should be tested against current insurer business practices. Any that that fail to meet this standard should be eliminated even if eliminating those leads to short-term pain. Passing the test on all counts properly aligns the company for success in both the near-term and long-term future. It also separates it from lesser organizations unwilling to place themselves under intensive self scrutiny. Failure to deliver confidence to a life insurer’s present and prospective customers should be understood by CEOs to mean nothing less than missing out on the Boomer retirement opportunity. Why do I believe that confidence and pride will combine to be the “killer app” of the life insurance company’s future? And why do I believe that no genuine admiration of a life insurer can occur unless and until its customers can be truly confident about the PRODUCTS they purchase? The reason is that unlike in the past when insurers could ignite robust sales of iffy products based solely upon consumers’ confidence in their agents, the distribution phase will require consumers to also have absolute confidence in the specific product or solution they are purchasing. Clarity plus Comfort = Confidence. Call it the Three-Cs of future success. • “Going forward” implies the conduct of an insurer’s business in the distribution phase. • Unlike during the accumulation phase, if a consumer purchased the wrong product he or she may have suffered, say, a missed growth opportunity by 100 or 200 basis points, or faced a partial loss of liquidity for a period of years. That doesn’t make for a happy customer, but there is still no permanent damage done. • During the distribution phase, however, a bad recommendation resulting in the purchase of the “wrong” income product may cause a consumer’s income to fail to keep pace with inflation or, perhaps, even cause “portfolio ruin.” For the unfortunate customer this may mean many years spent in old age with insufficient retirement income. I think about Lofties’ comments in the context of life insurers selling fixed annuities, primarily. I would argue that the indexed annuities, for instance (which are now being dressed-up with income riders) offer even less potential to keep pace with inflation than do variable annuities. What does this imply for a life insurer’s future liability potential if, say, an agent places too high a percentage of a customer’s assets in such a product? • I believe that there is little chance of a carrier becoming admired unless the retirement products’ (annuities) sales process is radically transformed including reliance upon new technology-based communications strategies, enhancements in intermediary productivity and the introduction of more consumer-oriented products. Why? An already hostile and aggressive consumer press, aggressive insurance and securities regulators, plaintiffs’ attorneys, and, more significantly, dramatically new and non-traditional competition will force insurers to add far more consumer value to their products resulting in significantly lower compensation for intermediaries. The only solution to this thorny set of changes is to increase the productivity of intermediaries; larger volumes offset lower commissions allowing intermediaries to remain financially viable. How can it be that one industry is both the best at sales and the worst at marketing? The issue of Communications is often paid lip service but remains underappreciated in most life insurance companies. This must change. Why? Because I’m convinced that the “war” over Boomer retirement assets will be communications-based rather than product-based. CEOs, you need to drive a focus and priority around the communication of compliant, value-based messages in order to increase market share. This is an even more important issue for life insurers than for providers of other types of financial products because insurance products are inherently more complex. In thinking about communications CEOs should be asking themselves some tough questions: Does my company excel at marketing? Are my agents sufficiently productive to make a successful conversion to levelized or reduced compensation? Is there a high level of inconsistency in the way my company’s products are explained to consumers? Will current or planned strategies for assessing suitability go far enough in protecting my company from future financial liability? Do I have any ticking time-bombs from past years’ sales efforts that may explode in my face? These questions involve issues and challenges that can be at least partially mitigated through excellence in communications and marketing. Yes, I believe it is possible for a life insurer to become truly admired. Will attaining admired status be easy? No. Is it worthwhile to invest in the tools, transformation processes and technologies necessary to achieve it? Certainly. As stated above, the stakes are too high to not attempt to have your company become admired. Thirty years ago upstart names like Fidelity and Vanguard thought about what it would take to become admired organizations. They acted aggressively and attracted trillions of dollars in assets, much of that at the expense of insurers. Now, life Insurance CEOs find themselves at a momentous juncture, a moment when they must define their companies’ future success and prestige. Their decision-making can lead them to immense growth and admiration, or marginalization and lost shareholder value. What decisions will today’s life company CEOs wish to be remembered for? I’m a lucky man. I’ve just returned from a spectacular vacation in Greece made one day longer due to a strike by aircraft controllers in Athens. Danke to the unhappy Greek controller for allowing my family and me to enjoy an unexpected and delightful day of sightseeing in Frankfurt! My hearty thanks to Francois Gadenne. Thank you, Francois, for taking over this blog in my absence and delivering even more than I promised you would! Now that I’m back I’ve got a big, big treat. One of the greatest pleasures I receive from my work at the blog is having the opportunity to interview so many world-class individuals, the “Leaders and Innovators” of financial services. I get to learn a lot, and so do you. 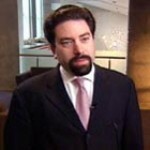 Moshe Milevsky is likely the world’s leading authority on the interplay between financial risk management and personal wealth management. His best-selling books, scholarly articles, public speaking appearances and consulting work made him well know to all who are seriously interested in the future of retirement income. In this extraordinary interview, Milevsky addresses many timely issues including the need for a secondary marketplace for insurance products (well beyond the present life settlement market), the necessity for financial services companies to excel at communications, transformation in the variable annuity market, the need for greater financial literacy, and the prospects for life insurers in terms of Boomer retirement. Milevsky also reveals some deeply personal insights which demonstrate his devotion to teaching… and warm weather! Enjoy! Macchia – Moshe, you are an international authority on retirement issues, a PhD, an associate professor of finance at York University, a best-selling author, and Executive Director of the non-profit, Individual Finance and Insurance Decision Center and CEO of the recently launched QWeMA Group. You’ve also written over 40 scholarly research articles, the most prestigious business journals worldwide seek out your views…and you’ve just turned 40. For most people, that would be a lifetime of achievement. You however still have decade’s worth of life expectancy. What are your goals beyond that which you have already accomplished? Milevsky –I appreciate all of the kind comments and I’m not really sure where to be constructive in terms of answering that question. My interests now lie in bringing together the very, very distinct fields within personal wealth management, which are the traditional asset investment management side versus the liability and insurance side of the personal balance sheet. For many, many years these two fields, both academically and from a practical point of view operated on a completely different level with different language, different silos, different organizations. When you would buy your car insurance or your home insurance or even your life insurance, nobody asked you about your asset allocation and your risk tolerance, or whether or not you preferred stocks to bonds and what your retirement goals were. One was an insurance discussion and the other was a financial discussion, and my overall philosophy is to bring these two things together and to have a comprehensive risk management approach to wealth management. In that area I think there is much, much work to be done. I’ve spent a lot of time focusing on annuities and retirement income and pensions. The fields of insurance, like long term care, disability, critical illness, UL, variable universal life, term life insurance, require a more rigorous and comprehensive framework, and I’d like to develop some more academic research into how to go about modeling that in a consistent framework. Macchia – Interesting. Your answer leads me to recall a question that I’ve asked of a couple of previous interview subjects. When I entered the life insurance business in 1977, the insurance industry pretty much controlled the pension business. It then seeded away those assets to the mutual fund complexes that approached consumers with an arguably better model in terms of greater transparency as well as the ability to create greater clarity and comfort for consumers. I’ve often used the analogy that the life insurance business was then like a “black box.” People made purchasing decisions based upon their faith and trust in their agent, without truly understanding the product they were purchasing. I think that you could argue that in the intervening decades this hasn’t changed very much. I’m wondering if you feel that greater transparency is going to be a requisite in terms of the insurance companies and their products reaching their full potential in the income distribution phase? Milevsky – Absolutely. In fact, I think I’ll take the transparency issue one step forward. It’s not just the matter of transparency in terms of the process and what you’re paying for and what it costs, but a transparency in creating a mark to market value of all your insurance holdings. Dare I say that a secondary market is needed for those same insurance holdings so that you can take a look at whatever you own and sell them at a market price if you don’t need those products anymore? That will increase the transparency as well because then you will have traded market values for these instruments, and you can make much better financial decisions with regards to them. Contrast that vision with the current state of portfolio holdings and other assets. The black box of investments no longer exists; you can drill down to literally the stocks, the companies that you own. I think that’s what’s going to happen with many of the financial insurance products out there. Obviously, this is a controversial issue. For example, the whole topic of the life settlement business, a secondary market for unwanted life insurance. Open up the newspaper in Florida and you’ll see 12 different advertisements for seminars on how to get rid of your unwanted life insurance policy. Many, many people in the industry think that’s not good, a lot of insurance companies will say that they don’t like that trend, but I think that it’s happening and that’s another step in the transparency process. We have to rationalize pricing. I’m more of an observer than a participant in these markets, but I definitely think that transparency is a good way to describe it. Macchia – Do you believe or could you buy into the assertion that insurers are going to have to come to terms with handling some short term pain in order to configure themselves for greater long term success? Milevsky – I think so. In fact, one of the things that I observe is that at the same time that the insurance industry opposes certain developments quite vocally on one side of their mouth, on the other side they are actually developing the infrastructure, the subsidiaries and the ventures to capitalize for the event that they lose what they are arguing on the other side of their mouth. I think that’s an interesting development and they are prepared for the fact that they might have short term pain, but in the end they will be the ones gaining because they are the best entities equipped to manage the markets in mortality, longevity and morbidity risk. Macchia – Moshe, I would like to ask you about some of the things you’ve said that I’ve read in various articles. I’ve heard you say that retirement is not just about asset allocation, it’s also, and very importantly also, about strategic product allocation. Is this something that you could elaborate on? Right now, however, no one in the industry has that type of approach for the universe of insurance products. That is to say, you as an individual sitting down with someone who says here’s how much long term care you should have, and here is how much critical illness insurance, and here’s how much annuity, and here’s how much of a reverse mortgage you should allocate, and here’s how much life insurance, and most importantly here’s how it all fits with your asset allocation, human capital, personal balance sheet, etc. What I’m describing is the same kind of thinking used for accumulating wealth for retirement. But when you start to withdraw money, and you have to create your own personal pension, I think it’s critical that we start to think in terms of product allocation and asset allocation combined. Macchia – I’ve heard you make the analogy while discussing the example of withdrawing money for your own retirement, that you have the personal ability to buy out-of-the-money put options funded by selling out-of-the-money calls, but that most people can’t do that. They’ll need to look at packaged products to achieve the same sort of result. Knowing all that you know, what do you see on the horizon in terms of the evolution of packaged products designed to meet the mass market need? They are financially engineering or creating the packaged products themselves, and they are coming to the realization that they have to do it. But, for many, many other people it’s impossible or just too complicated to manufacture these themselves, and for many smaller investors it becomes prohibitive from a transaction cost point of view. We’re going to see structured products developed that are meant as income vehicles as opposed to accumulation vehicles. It’s not going to be about an indexed linked note that accumulates for 15 years and guarantees you a sum of money. It’s going to be about products where the sum of money is given now or over 5-10 years and it produces incomes with certain guarantees. I personally think you’re going to see much more development in the structured market as a replacement for Define Benefit (DB) pensions. Macchia – In terms of structured products filtering down to the mass market, when do you expect to see it begin, and what do you think the result will be for insurance companies in terms of potentially significant new competition? Milevsky – It’s tough to predict these things but I can tell you that as one big company moves in that direction other companies follow very, very quickly soon after. You have to predict when is the first mover going to do it and then everybody else fills in the gap. I’ll give you an example, a case study. I’m a business school professor, so I live on case studies. In Canada for many, many years we did not have any variable annuities. We had something similar called a Segregated Fund, but there were some important differences and none of them offered any guaranteed living benefits. We certainly didn’t have any GMWBs, GMIBs, etc. Remember that in the US you’ve had them for 6 or 7 years now. Four months ago the first company in Canada launched the guaranteed minimum withdrawal benefit (GMWB) similar to what is offered in the U.S. within variable annuity contracts. It was Manulife. About four months later the second largest company here, Sun Life, announced that launch of the exact same thing. Another traditional fund company partnered with a Bank to offer a similar product and there will probably be one other insurance company jumping in very, very soon. Seven years we see nothing and then within a six month period everybody steps in. I think that’s what’s going to happen with some of the innovation in structured products in the US. Wherein there are a number of traditional asset management shops that are thinking about it, and they are talking about it. They’ve been talking about it for years. This is not something new to them. As soon as one of them makes that final move and brings it to market, everybody else will step in. I think that’s what’s going to happen. When will this happen? It’s tough to predict, but my sense is there is going to be clustered. I wouldn’t be surprised if two years from now there are 12 companies offering a new class of products that didn’t exist two years ago. Macchia –Your comment is very interesting to me, and I’m quite familiar with this copy-cat syndrome among insurers, and deal with it in terms of the technology communications innovations that are my focus. But I want to go back to variable annuities and income benefits, which you just raised. For some time you were well known as a critic of variable annuities. I believe that you looked at variable annuities anew in the context of the newer guaranteed income riders. I believe that your research concluded that the insurance companies offering these benefits- or at least some of them- may not be charging enough money for the economic benefits that they provide through these riders. Is this accurate? Is this an accurate way of describing your conclusions, and, if so, what are the implications? Milevsky – As any good academic will tell you about a subject they have written a lot of papers on, it’s difficult to summarize in one paragraph the entirety of the various research results. But the bottom line is, yes. For many, many years the imbedded guarantees and some of the protection features that you had within these products, in my opinion, were overpriced relative to the capital markets value of traded options. Then literally 5 years later with the explosion of living benefit products I took the opportunity to look at these things again, expecting to see the same conclusions that I had seen 5 years earlier. The results were very, very different, however. The features now made more sense to me because they were made to protect against living as opposed to protecting against dying. The features in there were meant to create pensions, and many of us are losing our pensions. The features in there were essentially put options that matured over long periods of time, which are quite expensive in the capital markets. I inevitably had to change some of the conclusions on these products because the features had changed. There’s actually a story about Prof. John Maynard Keynes, the famous economist. Apparently he was approached by reporters after he released some policy recommendation and they accused him of changing his mind on something. He had been against a certain policy and then had changed his mind in favor. The reporters said to him, “Professor Keynes you’ve changed your mind. Why did you change your mind?” His reaction was, “Look, when the facts change I change my mind. What do you do?, he said to the reporter. That was his response to the reporters. Obviously when referring to Prof. Keynes one has to be careful since he is in a completely different league, but I kind of feel the same way here. For many years reporters and writers would call me to basically get negative quotes about variable annuities. Yes, some of them would call with an open and honest intention to discuss the pros and cons of the product, but many others simply wanted to get a live quote from the “professor and researcher” who found that VAs are overpriced. More recently these same people call to discuss the new generation of guaranteed living benefits and now I have to say, wait a minute, you’re talking about the exact opposite exposure here; longevity risk. This is income for life. This is not easy to hedge individually. In fact, call up your favorite OTC put-option market maker. It’s a lot more pricy to replicate. It’s not easy to quantify and do proper risk management. Many of the popular financial writers are still thinking in terms of the old products and guarantees. I finally decided to write an article about this and confess my current frustration, and let it go from there. And that’s what I published in January in Research Magazine. Macchia – The insurance companies have put a lot of financial engineering behind the development and hedging around these riders. Do you think they are just making a big mistake? Milevsky – No, absolutely not. I can’t use the word mistake to describe any of this. I think that many of them are making strategic decisions based on a careful cost/benefit analysis. For example, if living benefit riders on a variable annuity generate only 2% of your company’s revenue, and you have exposure to the opposite mortality and morbidity risk then no matter what happens in this particular market it’s not going to impact your overall firm exposure. They can be more lax about hedging out every single possible path. They can be more relaxed about risk management, after all they have natural hedges in place. On the other hand, if you’re a small company, and this is generating 70% of your revenue, this is starting to pose some systematic risk, especially if you are using static assumptions about policyholder behavior. Practically speaking, it is the stock analysts that have to be weary about profits and earnings. The credit market analysts have to be concerned and the regulators have to be alert. I know from looking at these things that they are very complicated to hedge. They depend on policy holder behavior, who is going to lapse, when are they going to lapse. They depend on competing products. If somebody comes out with a better product, people are going to lapse, but if they don’t then they are going to hold on. It depends on education, it depends on the intermediary. This is not like put options that you buy on the CBOE where they are commoditized yet, so there are a lot of assumptions there. Bottom line is I’m wondering, are people getting this right? That’s it. The recent overseas experience with similar products has implications in the U.S. It’s what happened in the UK with Equitable Life. It may be a personal bias, but I was giving a lecture at the London School of Economics a few years ago when the Equitable Life fiasco blew up. This was the largest, most venerable, most prestigious insurance company in the UK having sold guaranteed living benefits. In the year 2000 they literally had to shut down. They were declared insolvent soon after because essentially these guarantees matured in the money and they didn’t have the risk management and hedges in place to cover 100% of the promised payouts. Anybody that lives through that has an obligation to ask how do we make sure that this doesn’t happen in the US? One of the ways is to just make sure that you are vocal and ask questions about risk management practices. I don’t want to be a Cassandra, but at the same time the more that we remind people due diligence is also about risk management, the less the chance this is gong to happen. If insurance companies are selling instruments that are supposed to transfer risk from my personal balance sheet to their corporate balance sheet, I want to understand how they are managing that risk. The answer: “We have scale economics and use the law of large numbers to diversify risk” doesn’t cut it for me. Macchia – Now, I’d like to ask you about something different. That is the work that led up to the awarding of a patent to you and Dr. Peng Chen. I’m wondering if you could talk about the work that you did that led to that patent, and how you see that patent unfolding now to help financial services companies. How do you see the patent actually impacting the marketplace? Milevsky – Sure. To be absolutely clear and up front, this is a patent that I developed that was transferred over to Ibbotson Associates, so although I am the inventor, the co-inventor with Dr. Peng Chen, they are the ones that are taking the lead in terms of business and business development, and you should probably ask then a lot more than you should ask me what their strategic plans are. The research that had led up to it was the very simple question that I was asked almost 10 years ago: What is the most optimal allocation to annuities? How much of my money should be annuitized and how much should not be annuitized? How much should be left liquid? This is a very fundamental question in economics. Asset allocation and portfolio choice has been studied for 20 or 30 years, but nobody ever asked the question in terms of insurance products. The questions were always posed: How much international exposure should you have? How much bonds versus stocks? How much cash versus how much invested? Nobody actually looked at how much should be annuitized. The research that I had done more in a theoretical point of view was to try to determine an optimum and what kind of framework do you use in order to develop this optimum. That’s kind of the theoretical work behind it. My work with Ibbotson over the years was about trying to implement that in a way that could be understood and used by individuals. The question then got flipped around: What kind of questions do we have to ask people so that their answers will lead us to an optimal allocation of annuities versus non-annuities? Macchia – There are not that many individuals like yourself who stand at the top of the food chain in terms of understanding all of the intricacies and economic factors and issues that will impact peoples’ retirements. In your view what is the toughest concept for ordinary investors to understand when it comes to their retirement? Milevsky – I think that they are a collection of behavioral-almost fallacies or behavioral mistakes that people make, and they all have to do with very long and uncertain horizons. I believe that when you tell someone to plan for something that may last only 5 years, or that may last as long as 35 years they then commit a series of mistake behaviorally that all relate to the fact that they don’t’ really know hold long they are going to live. Those mistakes can then become things like not planning to have income for the rest of your life because you don’t know how long it’s going to last. Or a misunderstanding of the impact of inflation. Or not understanding the impact of healthcare costs and what that means in the long term. Or how markets behave in the long run versus the short run. If I can summarize it, the biggest misunderstanding is how to handle horizons that are stochastic. Macchia – Moshe, a great deal of my work involves the development of the next generation of communications technologies. In part, my investment in this area derives from my sincere belief that while products and processes will be important in the future, there will be a different driver that will, to a large extent, determine a financial services company’s future success in the retirement income business. I mean by this that the greatest success will not necessarily come to an organization with the “best” product, but rather will come to those organizations which are the best at communicating their value to a large and fluid marketplace. I believe this is true for many reasons including my own substantial practical experience, as well as the fact that the Baby Boomer cohort is so vast, and the number of financial advisors arguably insufficient to meet all of their needs, that only by using communication tools effectively will companies be able to successfully engage large numbers of consumers. I’m wondering if you can buy into what I’m saying. Milevsky – I do. In fact I’m really resonating with the first comment that you made that it’s not necessarily the best product that’s going to win. I’m seeing that now, and it would be nice to have kind of a coherent framework to understand why it’s always going to be the second and the third best product that’s going to win. It might very well be because of their ability to communicate their message better as opposed to the first one that put all its effort into product development and forgot about the second and third steps which are to make sure that people understand this and to communicate it and people absorb it. I see a lot of wholesalers in action that do these seminars and I get to listen before and after to some of the folks that get up and pitch various products. I see that the ones that are able to communicate in an almost simplistic way what a particular product or strategy does end up winning as opposed to the one that comes in with the very long list of product features and kind of confuses people. Even though it’s really a better product they are not the ones that get the business. It’s almost as if I scale back on the bells and whistles and focus on the 2 or 3 really good things about your product and put the rest of your effort into explaining this to individuals as opposed to the other way around. I really do resonate with that. It’s only with time that I’ve come to appreciate how important the communication part is. As a graduate student at university you never really appreciate or are taught the importance of clear communication. A professor with a Nobel Prize standing at the black board scribbling with chalk is a genius. It doesn’t matter if he can communicate or not. It’s the thoughts that count. It’s the papers that they wrote. It’s the products that they have helped develop. In time I’ve realized that it’s much more about communication, inspiration and clarity of ideas than it is about the actual development. It’s certainly a combination of the two. I do resonate with your earlier comment. Macchia – Moshe, I’d like to ask you about the non-profit organization for which you serve as Executive Director, the Individual Finance and Insurance Decision Center. Could you describe the work that you’re doing there and what you’re aiming to achieve? Milevsky – Sure. The IFID Center is a not for profit that is currently housed at the prestigious Fields Institute in downtown Toronto. Some of your readers might not recognize the Field’s Institute but will have heard of the Field’s Medal. It is a prize that’s awarded every few years to the best mathematicians in the world, similar to the Nobel Prize. The Fields Institute has incubated and housed The IFID Centre for the last seven years. What we tried to do is to create a network of academic researchers who are interested in personal financial problems. Helping individuals make better decisions in their financial wealth from a distinctly mathematical point of view. We’ve done projects over the years, many of them funded by government agencies, increasingly lately by actual institutions, and many companies in the financial services sector. They will approach us with a question such as: Is it better for our clients to take on a variable (adjustable) rate mortgage or a long range fixed rate mortgagee? We’ll do a statistical analysis, we’ll develop mathematical models and we’ll tell them things like 80% of the time you’re better off doing that versus this. Or, here are the conditions under which the decision makes sense relative to other assets and liabilities on the balance sheet. As another example, companies will ask us whether it is better for our clients to have term life insurance or whole life insurance or some combination thereof, and we will again look at the underlying mathematics and analytics and give them rigorous recommendations. That’s what we’ve been doing over the years. We have an affiliated network of researchers, some of them at my own institution, York University, some of them in the US, South America and Australia. They are literally across the world at this point. They collaborate with us on a research projects, present results of their research at seminars and the end result, the output, the deliverable is a white paper or presentation that’s placed on our website and that’s available free for all to the world to download- which then generates its own research. Macchia – Speaking of research, you have collaborated with Research Magazine on what’s called Retirement Income University where your- and these are by the way extremely well written- efforts to help advisors focus in on some of the insights that they may be lacking. What led to Retirement Income University and what’s your aim with it? Milevsky – One of the editors (Gil Weinreich) of the magazine contacted me more than a year ago and asked me whether I’d be interested in writing a column for them on the subject of retirement and retirement income. At the time I had a lot of commitments and it was hard to commit to do this on a monthly basis. Gil was very persistent and I would get a weekly email from him asking if I would reconsider and I met with him. Finally, I realized that his might be a good thing to disseminate some of my ideas beyond just publishing research papers on the website at the IFID Center. What I’m trying to do with the column is to cover systematically what you need to know to be an intelligent practitioner in the field of retirement income planning. I’ve got this list of concepts that I will be elaborating on one month at a time that I think enhances people’s knowledge on retirement income from a slightly academic point of view. To me it’s a bit of a curriculum, where at the university you spend 2 or 3 weeks in a given course and you systematically cover another topic. That’s what I’m trying to do in the column. I believe that this month’s column is on inflation. What do retirees experience in terms of inflation? How does it differ from the rest of the population? Next month I’m looking at the subject of longevity risk, and we’re going to talk about long term care and living benefits on annuities, reverse mortgages, what do people need to know about Medicare, Medicaid, what you need to know about a particular topic condensed to 2000 or 3000 words. That’s the agenda for the next few months. Macchia – I see. Let me ask you about what’s happening at ground level in terms of retirement income distribution solutions. The way I observe it, and often make the analogy to describe what’s occurring, is that people are coalescing around philosophies that I can almost compare to the various religions that we have in the world. There’s the religion of time segmented or time weighted strategies, there’s the religion of lifetime annuitization, the religion of systematic withdrawals, the religion of combining annuitization and a target date retirement fund. I wonder if you see it as I do and, if you do, do you view this phenomenon as short term or long term in terms of how it will actually play out. Milevsky – I definitely see that now. It’s almost frustrating to me, at times, to have discussions with people that are entrenched, almost fundamentalists of a particular viewpoint, and to them everything is solvable with one of those philosophies. You talk to someone who sells or wholesales mutual funds and everything is about proper asset allocation created systematically with a withdrawal plan that is will last, and you should be okay if it’s tax efficient. They don’t see the need for any kind of guarantees or downside protection or annuities or longevity insurance. You talk to a shop whose specialty is annuities, whether immediate, deferred, fixed, variable or equity-linked and that’s all they do, as you pointed out. Everybody should be annuitized, and the sooner the better. I have actually done some historical research on this. I’ve looked at the genesis of the money management industry. Thirty years to forty years ago you had folks that believed that everybody should have their money in “a few good stocks”. You invest in 2 or 3 companies, you pick utilities, you hold the utilities, you get dividends, there’s no point in buying anything else. There was no rigorous framework for systematic asset allocation across thousands of stocks and tens of asset classes. There were others that were invested entirely in the Dow 30 stocks, the nifty fifty. You’d have this vehement discussion in the media and all of them kind of ignored the idea of broad asset allocation. Now everybody understands that you’re managing a small piece of your client’s investments and then we have to be diversified across countries, sectors, styles. I think that’s what’s going to happen with these strategy classes. People are going to realize that you need them all in small pieces. Macchia – That makes sense. Right now, Moshe, I’m reading Walter Isaacson’s wonderful book about Albert Einstein. Einstein has been a hero to me over the years. I’m wondering if he’s a hero to you, or if you have others that you admire? Milevsky – Absolutely. I sometimes joke that he’s my intellectual grandfather. I use the word grandfather because one of his key students, Arthur Komar, was a professor of physics of mine when I went to Yeshiva University in the late 1980s. In academia your pedigree is based on who are your parents and grandparents and great-grandparents. I’m one generation removed. Einstein trained him at Princeton and then he came from Princeton to train students at Yeshiva University and I got to sit at the knees of the child, or the intellectual child, of Albert Einstein. Obviously he passed away well before my time so I never got to meet him. But, absolutely. It’s impossible to describe in words the way he changed the world. I mean a patent clerk sitting in Bern, and literally processing patent claims, and when you think about who works in the patent office these days it’s just stunning to believe that he could create a theory that literally changed the way in which we think about the world. And not just once or twice, but three or four times. What many people don’t realize is that many of the models that we use in financial management are based on these underlying stochastic stimulation models, were actually put on a foundation by Albert Einstein in 1905 – 1906 in his work on Brownian motion. If you’ve ever heard the term Brownian motion applied to modeling stock prices, he’s one of the people that developed that framework and we’re essentially using his model in finance as well. Macchia – Since we’re thinking in such a broad spectrum right now I’d like to ask you three personal questions. Milevsky – Sure. You can ask then I’m not sure you’ll get an answer. Macchia – Well, we’ll see. The first is this: If I could convey to you a magic wand, and by waving this wand you could affect any changes in the world of financial services that you wish to, and could make these changes instantly, what would be the first two changes you’d make? Milevsky – Oh boy. These kinds of questions have to be mulled over. I’ll probably revise this, but I would say that financial literacy would be the wand that I’d like to wave. I’d like people to graduate from high school with a much more sophisticated financial view of the world than they have right now. I get to see them in their second and third year of university or college and those are the elite ones that actually come to our school and are studying business, and it is very depressing… the level of lack of knowledge. They will be able to fix your iPod and reconfigure your internet connection and literally do mind altering things when it comes to electronics and gadgetry, but when it comes to simple questions like mortgages or checkbooks, or how do you manage money, or compound interest, they were just never taught this. I think that a magic wand that would increase the level of financial literacy across the planet in terms of the financial services industry would do wonders to avoid many of the problems that the industry faces. On issues like suitable sales, and seniors that didn’t understand what they purchased, and individuals that buy bad products that speculate on things that will never make money. Financial literacy would be a big help, and I’m a big advocate of that. I sometimes get flack when I say this. I have 4 children in school. Let’s teach them a little less Shakespeare and a little more asset allocation. Macchia – Well said. The next question: If you were not Dr. Milevsky doing what you’re doing now, but instead could have any other career in any other industry or field, what would you choose to be? Milevsky – I would probably, oddly enough, be a pulpit Rabbi. That’s what my father was (Chief Rabbi of Mexico), and my grandfather was (Chief Rabbi of Uruguay), and my great-grandfather was (Rabbi in Lithuania). I was kind of the black sheep. I was the one that said, you know what I’d like to do is something a little bit more practical or realistic. Hey, it’s a tough life being a Pulpit Rabbi. The pay isn’t very good and you have a community to manage. Many of them are cranky members of your synagogue. It’s a tough life, but I could see myself doing that in another life. Certainly, not in this one. Obviously it would be a very, very big change for me and I doubt that I will ever do it, but that’s kind of in an alternate world what I would be doing. Probably not the response that you expected. Macchia – I expect nothing. Whether you said Rabbi or trumpet player I would have been equally unsurprised. You get interesting answers to this question. Now, last question: I’d like you to describe your own retirement in its most conceivably perfect form. What will you be doing? Milevsky – It terms of the daily activities, I believe deep in my heart that I will continue to teach, lecture and speak until the last day on this earth. I will be speaking in front of undergraduate students or graduate students or fellow research faculty members of even industry practitioners. I hope to be giving seminars until the last possible day. That said, I most probably won’t be living in Toronto, which is where I and my family are based right now. It will probably be somewhere nice. I think Southern California. Specifically, Orange County and Laguna is very appealing to me. Of course the housing prices there are ridiculous on a professor’s salary, but perhaps 30 more years of saving will get me there. I will also definitely be writing and publishing research articles. It is an interesting question to ask since last week I attended and gave a presentation at the MDRT meeting in New York. They organized a conference called Boomer Retirement and they invited some very well known speakers. It was a huge honor that I was asked to speak as well, since speaking the night before was Alan Greenspan as well as Ken Dychtwald and other notables.. The reason I mention this is that Alan Greenspan was also asked what he was going to be doing in his retirement. His response was, retire to what? He said: “I’m going to continue doing what I’ve always been doing. Maybe a little more golf.” That was his response to great laughter. , To me he was saying, look, this is what I enjoy doing and plan to continue doing it. That really resonated with me. If I wanted to do something different I would do it now already. I never do an activity where at the end of that I say, Gee, I can’t wait until I retire. I probably won’t be doing the volume and pace of what I do now, probably a little less intense, but definitely teaching and writing. Macchia – I like your answer. Laguna is one of my favorite places and right now I’m looking right behind my desk and there’s a photo of my wife with a building on the beach that says Laguna Lifeguard Station with her standing in front of it. It’s a special place. Milevsky – That’s definitely where I’m going to end up. I also spent a couple of years in Mexico when I was a kid growing up, so I’ve picked up Spanish quite fluently, and I like the kind of Latin environment close to Mexico and the fact that everyone there, especially in the services sector, speaks Spanish. To me it’s a special place, not just because of the natural beauty and lifestyle. I will probably be sitting on the Laguna Beach somewhere typing and giving webcasts or something but definitely writing. I have a whole bunch of books that I’m still trying to write, so I need time to do it. Macchia – The good news is you might have 60 or 70 years left to do it. Hopefully with the right annuitization. Milevsky – And the right healthcare provider and a better diet and a long list of other things that my wife reminds me of. Milevsky – I think we’ve covered a long list of things and it’s certainly reflects a broad range of my interests. So, the answer to your question is “not that I can think of”, especially as it pertains to retirement and retirement income and financial literacy, so you’ve touched on all of the hot spots. Macchia – I’ve enjoyed it immensely. Thank you, Moshe. Francois Gadenne has graciously agreed to cover for me until my return on May 16. He will be contributing a variety of essays addressing contemporary and future retirement income opportunities and challenges. This will be the last entry in this series as David is returning to his daily posts. It seems appropriate, and very much in the spirit of RIIA, to close this series with questions and an invitation to add your voice to the discussion. Do you remember what triggered the formation of RIIA? The answer is a single word: Demographics. Clearly, the future of retirement security will hinge on a variety of factors, including investing behaviors, personal savings rates, retirement age decisions, health/lifestyle choices, spending habits and the solvency of institutional promises from DB plans to Social Security and Medicare. Most importantly, the qualitative aspects of these factors will derive from the quantitative impact of 76 million Baby Boomers entering retirement. This demographic phenomenon will affect the retirement income industry long into the future. The answer is our tag line: The View Across the Silos. RIIA is an independent forum where all financial institutions concerned about retirement income can meet to discover what it will take to create the future –free from product, tool, process or business-silo assumptions. So what are the key Questions and how did they evolve from 2006 to 2007? Is the market shift from asset accumulation to distribution for income generation real? What is the scope and magnitude of retirees’ need to dip into their savings in order to supplement or maintain their retirement incomes? Will the money-in-motion reach trillions of dollars? Will intermediary-based distribution meet demand adequately given expectations of declining advisor ranks and an increasing customer base? Do large market segments lack convenient access to the products, tools and processes that match their needs? What third-party enabling developments must gain acceptance before the new retirement income solutions can emerge? Are existing asset accumulation products, tools and processes likely to be inadequate for providing income generation? Will structured products be the new winners and become to mutual funds what mutual funds became to pre-401(k) insurance products? Are early income generation products, tools and processes not likely to meet the entire volume of money-in-motion? What are the implications for the financial industry if key aspects of the retirement income business are governed by the economics of information technologies and subject to annual price-performance doubling laws? Hummm…. What do you think? Like a marble in a bowl, closed systems reach equilibrium when they find their lowest energy level at the bottom of the bowl. This means that the ball comes to a complete stop. But life does not let us rest in peace. It takes a continuous inflow of energy for life and for economic patterns to emerge. It takes an open system. Open systems create new patterns of organization by consuming energy. In business, this energy comes from the markets we serve. New businesses emerge when capital and budgets are allocated to new markets. An organization is well adapted to its markets if it accomplishes its mission effectively while providing efficient use of capital. Profit is a good proxy measure for efficient use of capital. Since RIIA is a not-for-profit organization we will leave that part of the discussion for another day. For now, let’s focus on what makes RIIA an effective organization in a fast changing environment. As discussed in an earlier post, RIIA is organized as a scale-free directed network. You can refer to this earlier post for the definition of “nodes”, “links”, and “hubs”. Networked organizations are an evolutionary adaptation to unsettled circumstances when it is important to explore the edges of a situation to see where the middle is likely to go. Such networks contrast with hierarchical forms of organization. When the direction of the “middle” is well understood, hierarchical organizations are an efficient way to exploit opportunities. But then, things change, adaptation appears anew, and effectiveness, temporarily, becomes more critical to survival than efficiency. Hierarchical organizations have a staff specialized in administrative tasks. Networked organizations have the same need for administrative specialists. Given their flexible structure of nodes and links, how can networked organizations build such a staff? A key difference between the hierarchical and the networked model may be seen in the hiring expectations placed on these administrative specialists. For instance, RIIA uses a cash-flow definition to identify organizational assets vs. liabilities. We seek to create organizational assets. RIIA’s organizational structure is built, as much as possible, on contracts where both parties, RIIA and the Staff, benefit from the cash-flow created by the expected tasks. Staff members become “hubs” in the network. Each network “hub” aggregates nodes and links to function as the equivalent of a small company. The aggregation of all the hubs, nodes and links creates RIIA. This form of organization is extremely responsive to change. It is an efficient form or organization for unsettled times because RIIA’s activities reflect the viable direction of the market. Members’ budgets act as a proxy for the energy of the markets. In addition to telling us what is important and perhaps even urgent to them, members speak most clearly when their budget priorities create cash flow for the association. 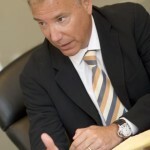 To learn more about RIIA’s value to your business, check www.riia-usa.org . We all use familiar facts and ideas to filter our understanding of reality. RIIA creates value for its members by asking questions that are not easily asked when one resides in a specific business. In particular, the Research Committee identifies and sponsors cross-silo research members would not usually fund with their own budget. Our research is important to help members answer strategic issues in these times of rapid, outside-the-box changes. RIIA believes that retirement income trends and issues concern all customer segments and all industry participants: distributors, intermediaries, investment product manufacturers, and insurance product manufacturers. We illustrate the diversity of RIIA’s membership with a three-by-three matrix called the Opportunity Matrix. This map associates American households, from the wealthiest on down, with the types of firms who primarily serve their saving, investment, and protection financial needs. The rows segment the investors markets using traditional investable asset metrics. Affluents range from more than $100,000 and less than $1 million. Industry participants who earn commissions, typically distributors such as full service brokers and insurance agents. Industry participants who earn fees, such as intermediaries including consulting firms and record-keepers. Industry participants who earn basis-points (or premiums) on assets under management (AUM), including investment companies and insurance companies. Since RIIA’s membership spans nearly every type of financial services firm, we use this map to identify and balance our membership across the nine resulting market segments. RIIA recognizes that all segmentations are trade-off between accuracy of insights and precise classification. Accordingly, our map accommodates industry participants whose level of business diversification prevents the identification of a “center of gravity” that would fit reasonably into one of the nine cells. We label such participants: bundled vendors. RIIA’s Regular Members are presidents, CEOs, P&L owners, and project managers for the retirement income initiatives or businesses in their respective companies. RIIA also has Associate Members drawn from companies who provide services to the members that are building retirement income businesses. Such Associate Members include strategy consulting firms, market research companies, and law firms. RIIA offers separate, and more limited, membership types for Plan Sponsors, Financial Advisors, and Affiliated Associations. Affiliated Associations are product, tools, process or industry-silo focused associations that want to address broad retirement income issues while remaining true to their core mission. RIIA provides the necessary retirement income focus, while the affiliated associations retain their traditional mission. In this way, RIIA is developing a federation of associations that benefits all parties. This initial representation of RIIA “View Across the Silos” was formalized by the Research Committee’s first report: RIIA’s Retirement Typology; Charting the Landscape: The Retirement Income Market. The revised rows show American households by different levels of financial well-being. We measure financial well-being by the total assets that American households own—stocks, bonds, mutual funds, retirement products, business interests, homes, other real estates, cars, etc. The “Wealthy” households are the top five percent of American families in terms of their total assets. “Affluent” households are the next highest 15% of households in terms of their total assets. The “Mass” households are the 50% of families and individuals below the Wealthy and Affluent households.The remaining 30% of households are the Marginal whose minimal assets leave them as difficult potential markets for the financial industry. Together the Wealthy, Affluent and Mass households comprise the 70% of American families and individuals who purchase the various accumulation and income generation products that our member firms offer. Moving beyond the Revised Opportunity Matrix, RIIA’s research also determines the affluence of a household not simply by the amount of assets that it holds, but also by the head of household’s age. For example, in order to determine if a household is among the elite 5% of Wealthy households, we must first know the age of the householder. The accompanying chart shows the total assets for Wealthy Households delineated by the age of the head of household. Households under age 35 are in the elite 5% if they have $408,700 or more in total assets. At the same time, retired households are in the top 5% when they have $1,453,000 or more in total assets. This distinction makes sense since the young Wealthy household, with years yet to save and invest, should be on par with the retired Wealthy households with more assets but shorter horizons. This staggered way of dividing the market is superior to establishing a single, arbitrary threshold for wealth at say $1.5 million, because such a one-dimensional measure eliminates many elite households who are excellent candidates for providers’ services. Because RIIA sees that future retirement income solutions will impact many, if not all, customer and industry segments, not only should industry participants incorporate retirement income as part of their existing business models, they also need to reach across traditional business silos to create innovative retirement income solutions and new business models. Through RIIA, interested industry participants can connect with one another to define the future of retirement wellbeing. If you have an interest in RIIA’s research, please check www.riia-usa.org to connect directly with Kathleen Beichert (OppenheimerFunds), the Chair of RIIA’s Research Committee. Financial Advisors (FAs) need training but they also need reliable tools. During the February 2006 MRI Conference, a member suggested that RIIA set standards for software illustration methodologies such as Monte Carlo analysis. Indeed, Moshe Milvesky and others have noticed in the past that similar input in different Monte Carlo engines returned materially different outputs. First let’s review a short history of income projection models as told by Ben Williams, co-founder of Rational Investors, Inc. and Retirement Engineering, Inc.
How much have you saved to date? What returns will you get on your investments? What will inflation be over the years until you die? The user who went along with this data request was rewarded with a retirement income projection that confused precision with accuracy: Using compound interest calculations, these projection was made to the very dollar of annual income. The second generation of planners that we participated in (as Rational Investors, Inc.) applied Modern Portfolio Theory (MPT) and probabilities to the problem. We designed our software to eliminate the imponderable questions, and restrict the data collection to facts and data requests that the user could plausibly estimate. Depending on the approach, the results were expressed in terms of probability, either as percent chance of meeting a goal, or the income provided by a savings program expressed as an income at a given level of confidence. It was complicated then, it seems to be getting even more complicated now. As Boomers are now entering the final stretch before retirement, the trend is to get very specific, and incorporate as much detail as possible into a retirement income plan. But this specificity means it is even more important for the user (and his advisor) to understand the assumptions implicit in any planning model. Industry models give widely different answers to the same scenarios, so how can consumers have confidence in them? Comparison of outputs from different models is difficult given inconsistent use of terminology and inadequate disclosure of assumptions and limitations. The way that market assumptions and plan results are illustrated often leads to false conclusions about risk, such as the fallacy of time diversification. Even though the stochastic methods of today are a vast improvement over the deterministic methods of old, many models still use stochastic techniques for investment returns only, not for other important factors such as inflation. While the probability of success is commonly provided as a means of conveying the level of risk in a plan, the potential magnitude of failure (e.g., how soon you could run out of money) is often ignored. C) A set of industry-recognized “calibration points” to serve as a type of benchmark upon which different models can be compared. Calibration points do not in any way dictate a particular methodology, set of assumptions, or even results. They do provide a frame of reference for comparison purposes among the many different models out there. It is absolutely OK for a model to differ from these calibration points. They are for use as a means for explaining WHY differences exist. If you have an interest in setting standards for such Methodologies, please connect directly with Richard Fullmer (Russell Investment Group), the Chair of RIIA’s Methodologies Committee. You can find his contact information at www.riia-usa.org. The Power of Market Segmentation: How Many Types of Financial Advisors Can You See? RIIA’s Research Committee commissioned its first study on customer segmentation. This was not an accident. When your membership comes from all business silos in the industry, it is important to validate a joint understanding of market segments before the discussion becomes too involved. Based on personal experience, unproductive arguments between members occur when the debaters refer implicitly to different market segments. Similarly, RIIA’s Education Committee is developing a segmentation of its own customers, the Financial Advisors (FAs). This effort started with the feedback we received on the first training program. Ratings ranged from great to could-be-better. The ratings showed a consistent pattern. Specific ratings levels matched specific FA types. Product Sellers are transactional reps. The primary investment vehicles they use include Mutual Funds, Variable Annuities, and individual Equities. They are Series 7 and Series 6 registered as well as insurance licensed. Their primary channels include Banks, Insurance Broker/Dealers and Wirehouses. There are about 175,000 Product Sellers and their average Assets Under Management (AUMs) per client range from $50,000 to $200,000. Asset Gatherers are relationship-driven salesmen who outsource the investment management function. The primary investment vehicles they use include Mutual Funds and Separately Managed Accounts (SMAs). They are Series 6 and 7 registered. Their primary channels include Wirehouses and Independent Broker/Dealers (IBDs). There are about 95,000 Asset Gatherers and their average AUMs per client range from $200,000 to $10 million. Investment Managers are analytical portfolio managers who do not focus their practice on having high client skills. The primary investment vehicles they use include Mutual Funds, Exchange Traded Funds (ETFs), SMAs, and individual Equities. They are Series 6, 65 and 7 registered. They also favor the Chartered Financial Analyst (CFA) designation. Their primary channels include IBDs, Registered Investment Advisors (RIAs), and Wirehouses. There are about 50,000 Investment Managers and their average AUMs per clients range from $200,000 to $10 million. Insurance Planners are sophisticated insurance salesmen who sell life insurance solutions. The primary investment vehicles they use include Life Insurance and Variable Annuities. They hold specialized insurance designations. Their primary channels include IBDs, Insurance Broker/Dealers and Wirehouses. There are about 37,000 Insurance Planners and their average AUMs per client range from $50,000 to $3 million. Financial Planners offer comprehensive financial planning processes and are often fee-only. The primary investment vehicles they use include fee-based planning processes and software, Mutual Funds, ETFs and SMAs. They are series 6 registered and favor the CFP designation. Their primary channels include IBDs, RIAs, and Wirehouses. There are about 18,000 Financial Planners and their average AUMs per client range from $50,000 to $3 million. Wealth Managers are members of High Net-Worth (HNW) teams who act my the investors Chief Financial Officers (CFOs). The primary investment vehicles they use include SMAs, Hedge Funds and Trusts. They hold various registrations, licenses and certifications. Their primary channels include Wirehouses, IBDs, and Bank Broker/Dealer or Trust Departments. There are about 24,000 Wealth Managers and their average AUMs per client are greater than $3 million. Such segmentations make it possible to tailor programs to specific FA audiences. We are interested in your input as we seek to improve our own FA segmentation in general and our Education programs in particular. Please send Ron DeCicco or John Carl an e-mail. You can find their contact information at www.riia-usa.org .